The sun peeked out from behind the high, thin layer of cloud cover for a brief moment today. But, it was just enough to coax my first snow crocus to bloom. I was feeling hurried as I unloaded my pint sized car, back seats down as I had braved Costco. I wanted to get the hoards of school lunch fixings inside the house to sort and organize. But, I stopped and felt the warm sun on my face and took a quick walk around the front cottage garden. And to my surprise, this petite crocus bloom was there, reaching up to grab the rays of sunlight. It is really amazing how inspirational a single bloom can be. My mood suddenly shifted. I didn't feel quite as hurried and instead, went inside to grab my camera and took a detour from my weekly chores. 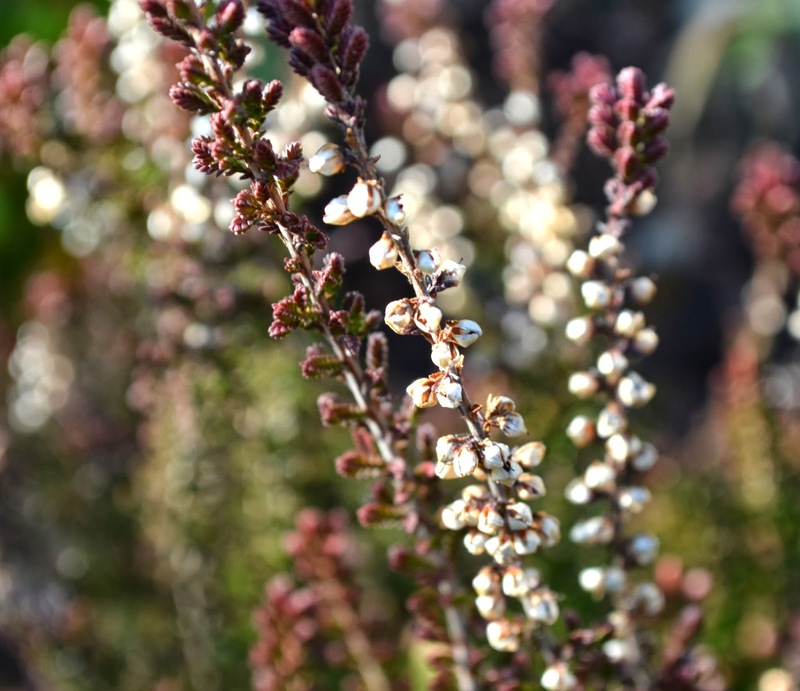 I also noticed of my summer and winter heather's. 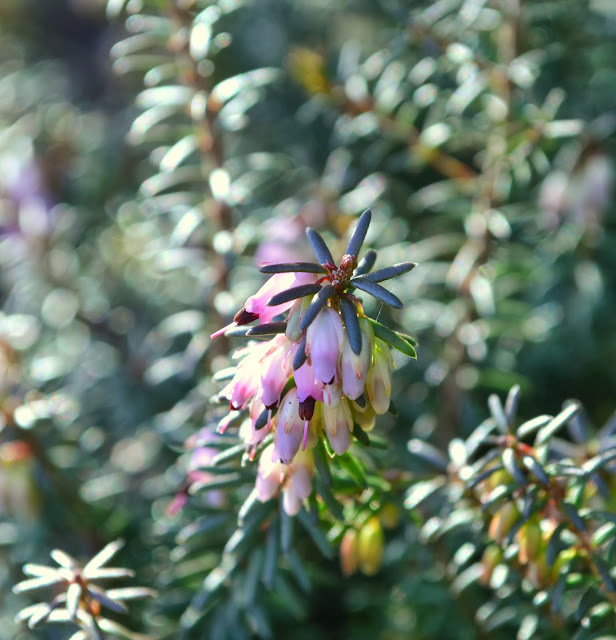 I always admire their showy foliage and blooms. 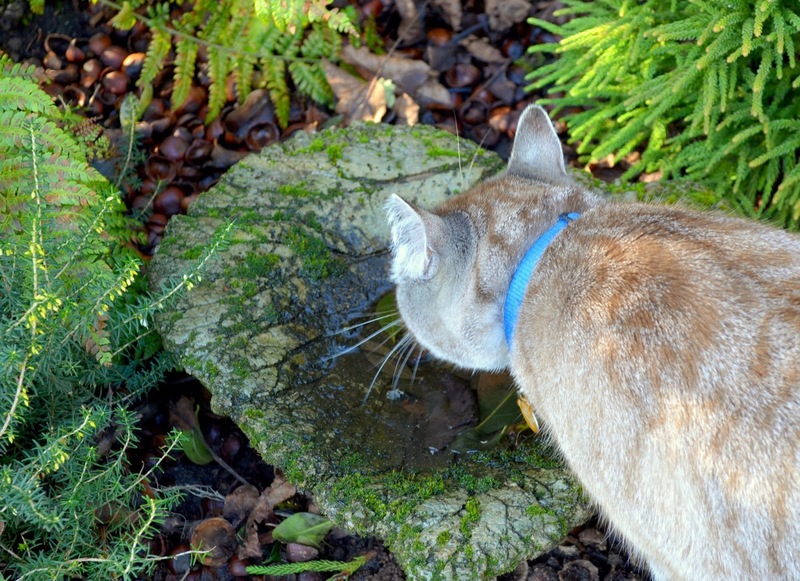 Even the kitties enjoyed a meander through the garden and a drink of water from the decorative, concrete leaf. I'm feeling refreshed and ready to tackle the groceries. Beautiful shots! I felt myself downshift down into garden photo mode along with you. I was just outside looking for a bloom with no luck. Which makes your picture even more precious to me. Thanks for sharing. Your blog is inspiration in the absence of any blooms at my house! XOXO! Isn't the garden just magical? Crocus already! Woo Hoo! I felt that same mood shift today with the sunshine and actual warmth. That's a beautiful little bloom you've got! Whoa, that Erica is gorgeous! You'll only get more blooms from here on out, isn't that a great feeling? So nice to see in January the first flower, it gives inspiration and gives the feeling that spring is coming. First flowers of the year are always special. It's amazing what one little sign of life will do for one's mood in the middle of winter! So pretty! You lifted my spirits as well...thanks. Isn't it wonderful what you notice when you do slow down and take some time. That's a gorgeous little Snow Crocus, and the Heathers look lovely too. 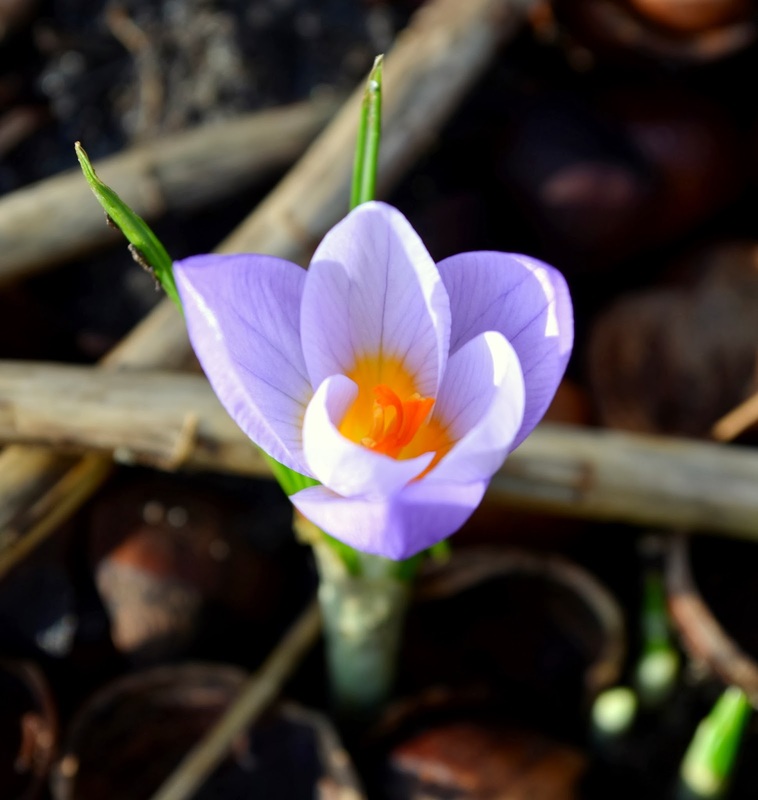 It is always a milestone when the first crocus or snowdrop open up, although it might not say spring on the calendar or feel like spring, we know spring can’t be that far away. Enjoy your crocuses!